This week I had the pleasure of getting fully relaxed and recharged at a Yogabellies class. 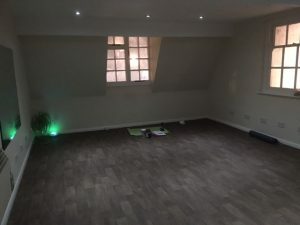 Pam Medhurst runs our local Yogabellies and she invited me along to see what one of her classes was like. I have a few friends who have done Yogabellies in pregnancy and Yogaballies Mum & Baby with their newborns and raved about them so I was keen to see what they were all about. Now before I go any further, this is not a Mumbler exclusive or announcement, I am completely not pregnant! But Pam said I’d enjoy the class anyway and to be honest it was the most relaxing thing I’ve done in the last 2 years since my 2nd baby arrived, so I was really glad she asked me along. 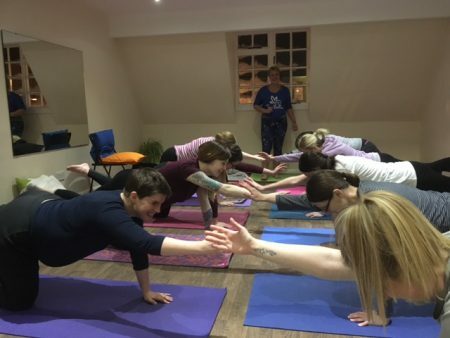 Pam holds classes in Hull on Monday evenings at Amiyoga on Princes Avenue Hull and on Tuesday evenings at Neals Yard on Beverley’s Saturday Market. Also from 1st March she is starting new classes on Wednesdays at Brough Methodist Church. I went along to her Beverley Yogabellies class this week where I was welcomed by Pam and 8 lovely ladies of various stages of pregnancy, from 19 weeks to 37 weeks. The venue is great; it’s a room above the Neals Yard shop that you access from a side door, very cosy and relaxing with free parking outside on the Saturday Market car park (it’s free after 6pm and the class is 6.30-7.45pm). Pam provides mats and lovely fleecy blankets and pillows for relaxation time at the end so I just had to turn up in my leggings. It started with everyone introducing themselves and talking about their pregnancy experiences, then we did some breathing techniques to use in labour. We then went into some yoga positions and moves that were adapted for a bump and completely safe to do, despite my lack of bump these were really good stretches and I enjoyed learning the different techniques. We ended with a relaxation session where Pam read a short passage about the experience of birth and we all laid still relaxing under our blankets. Pam was very knowledgeable and she covered a lot of useful ante natal info during the class. There are Yogabellies classes across the country but Pam was recently voted their Teacher of the Year, so we’re very lucky to have her running our sessions! There were some first time mums and also a lot of 2nd/3rd timers too as this is a great way to just spend some ‘you time’ and think about the baby you’re going to have without any distractions. I can’t remember a time that I’ve spent an hour and a half just focusing on me and relaxing since having children and it was so refreshing! Earlier that day I’d done the school run, kids tea, taken my son to gymnastics, raced home and handed the baton to my husband and driven to the class. I arrived tired and a bit stressed out but I left feeling totally calm and energised. Pam also talked during the session about using the techniques with children you already have so I am going to employ some breathing and quiet sitting with my stroppy toddler! I really wished I’d known about these classes during my pregnancies, I can see how the session can really help if you’re suffering from pregnancy aches and pains and how it would prepare you for birth, I think if I’d known some of the breathing and techniques Pam talked about I might have had better labours! It was also a great way to meet other pregnant women and make friends before baby arrives, Pam holds reunions and meet ups for ladies after their births so you can keep in touch. That’s enough from me and my ‘non-pregnant’ pregnancy yoga class, I asked a lady who was doing the class to summarise her experience. Kate from Skirlaugh is 26 weeks with her 2nd baby and doing Yogabellies now (and did so previously with her first baby)……. I began Yoga Bellies when 20 weeks pregnant with my daughter and attended class for 16 weeks which took me to 5 days before her arrival. I found that Pam prepared me for labour with breathing techniques and birthing positions, and the other yoga positions we practised helped with any aches and pains along the way. Working full time in a busy job, I always secretly looked forward to the relaxation session at the end of every class. Pam’s class was friendly and welcoming and, having never tried yoga previously, Pam made me feel totally at ease. At home, I fell asleep to the relaxation and positive affirmations for birth CD from my pack on a daily basis. Fortunately, I had a natural labour with only gas and air. Both my husband and I are convinced that the reason the midwife said I had ‘hypnobirthed’ was due to the fact I used the breathing techniques and my preferred birthing position learnt at Yoga Bellies (to help gravity) whilst listening to the Yoga Bellies music for birth. My daughter and I attended Pam’s Mummy and Baby Yoga class when she was 6 months old which again I’d recommend and, 3 years later, I am attending Yoga Bellies as am pregnant with my second child and couldn’t imagine going through labour without Pam’s help! This time around there is the added bonus of homemade ginger cookies at the end of each session! 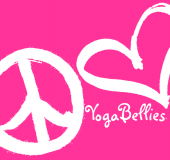 For more details about Yogabellies classes please contact Pam on 07966 091513 or pam@yogabellies.co.uk. Or you can check out their main website here or their local facebook page here.